On the 5th February, I attended a thought-provoking talk entitled ‘Building a free and unrestricted digital museum and library’ by Tom Scott, the Head of Digital Engagement at the Wellcome Trust. Tom began his talk with an introduction to the Wellcome Trust, describing how Henry Wellcome started a collection of objects, art and books in the late nineteenth century. The theme of the whole collection is health and the human condition. Tom discussed the role of the Wellcome Collection today, and the core values today are to support people and their ideas, with the intention to improve health. The collection continues to grow and develop with an acknowledgement that it needs to be more diverse and inclusive. The past collection being connected to rich, old, white men. The future of the collection is to make it impactful and discoverable so people can do something with it. I was interested to see an image of a painting by a patient, that is part of the collection, and that it was photographed in the original location, a doctors waiting room, so that it tells a story about it. Unfortunately, it seems that the collection is largely unrecognised in terms of the breadth and depth of the contents. One of the issues is in making the collection digital is how to make this and the associated metadata searchable. Placing items within the collection together enriches the collection, and gives context to individual items. 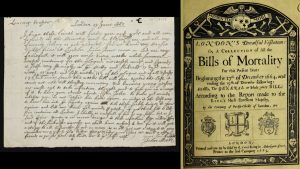 Tom showed a beautifully handwritten letter, written by John Moore that asked his brother to send his nephew to the country, rather than stay in London, when he noticed more people were dying of the Plague. 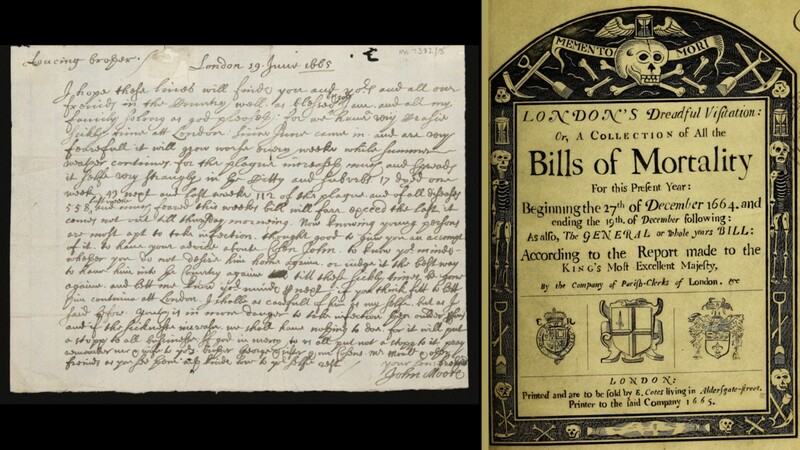 Combining this letter with a morbid, Bill of Mortality, decorated with skeletons in the margins, detailing the dramatic increase in the numbers of people dying from the plague, shows a significant piece of medical and familial history.